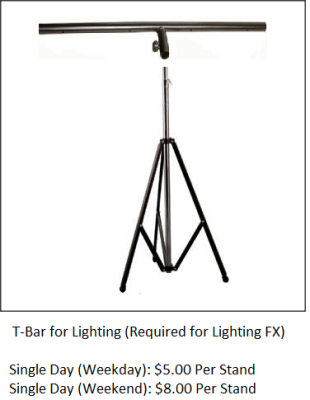 Our Lighting and FX options for the best show EVER!!! 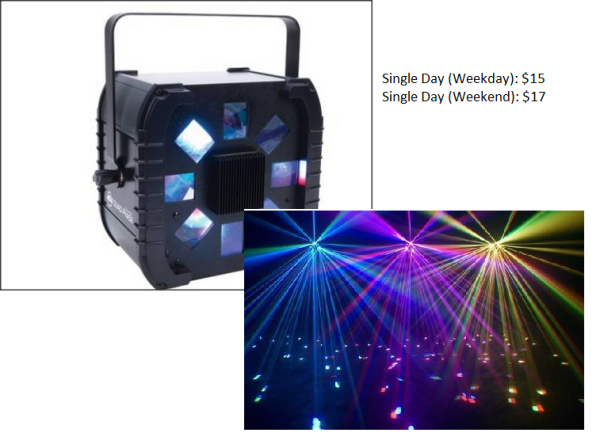 American DJ''s Quad Phase is designed to fill a room and dazzle a crowd with it''s 160 razor sharp beams of light. This technologically advanced moonflower features a homogenized 10W 4-in-1 quad color LED source (RGBW). Offering twice as many majestic colors as a TRI LED, the Quad Phase produces up to thirteen colors in all. 1.8 steeper motor for smooth movement and is compatible with ADJ''''s UC3 easy-to-use mini controller. 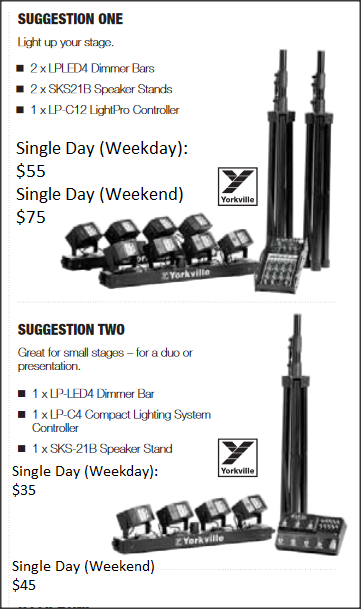 application, the Yorkville Sound LP-LED4X can easily be carried to solo or mobile DJ show to light a small stage or dancefloor. Built for easy operation and simple integration, a standalone LP-LED4X will provide ample coverage using its advanced on board programming and effect banks. 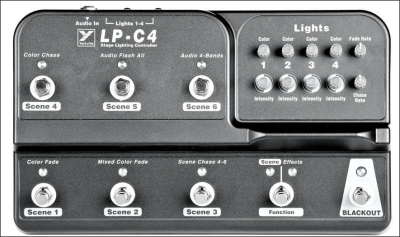 Multiple LP-LED4X can be connected and operated in unison using a standard microphone cable for communication between units. 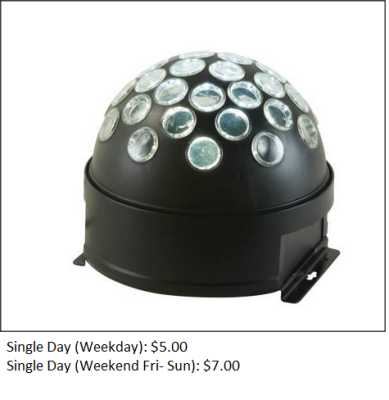 Ideal for creating a mirrorball effect when such a setup isn't available or practical (like in mobile setups), the Starball LED comes to the rescue. 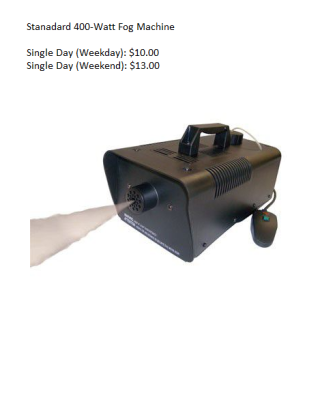 Produces 34 crisp, bright white beams that slowly rotate from one 3-watt LED source. operational modes; seamless colour scrolling or static colour operation. 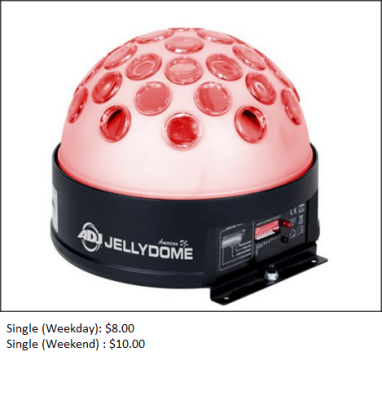 The Jellydome is a DMX intelligent, LED fixture. 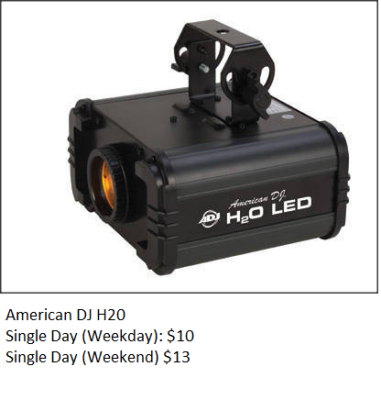 The fixture has three different operating modes; sound-active mode, show mode, or it can be controlled by a DMX controller. MORE PACKAGES WITH SPECIAL RATES COMING SOON!!! 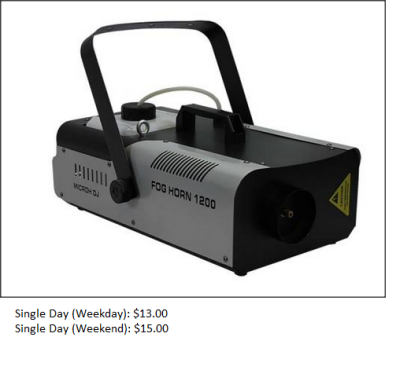 The FOGHORN1200 is a very high output fog machine. This unit will fill a gym or large club with smoke in minutes. The unit comes with a Wireless Remote interface or wired remote control. 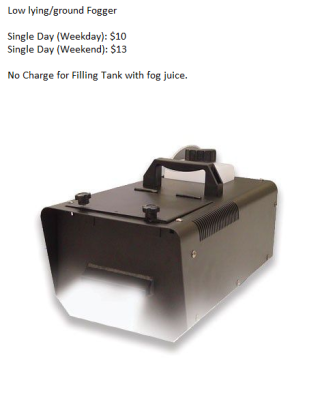 The comes with a large tank to allow long run time without refilling. Also the unit re-heats fast and is almost always ready to go at the push of a button. Take this on the road and see the difference in your lights.